If you own ane-commerce website or planning to build one, using the Magento extension will provide helpful features to optimize your online store’s functionality. This will add better value on the functionality and use of your commercial website for you and your online customers with its customizable features. Magento extensions provide for an open source MQSQL database and PHP platforms. To help you narrow your choices when selecting for the best Magento extensions, here are the demanding ones that are widely used by e-Commerce owners. Power up your e-Commerce visibility on various social media sites with Social Network Integration Bundle. This Magento extension will provide you a fast and convenient way to integrate social media buttons on your online shop. It is widely used owing to its flexibility features and easy to use interface. Simply carry out a single installation and start enjoying numerous features after a successful download. Use social media buttons of your choice by choosing from Twitter, Facebook, Google + and Pinterest Pin It. All features popular among social media users such as like, connect, re-tweet, follow and share are available in the social media buttons available from this Magento extension. Managing your Magento e-store’s search filters and layered navigation option is easy using this Magento extension. You can add a layered navigation feature to your home page using sliders, images and check boxes which allow your visitors to enjoy using different attributes of your eCommerce site and filter results directly using the different navigation attributes that are available on your site. The popular feature of this Magento extension is the price slider control. Web visitors of Magento sites also enjoy using the Layered Navigation Pro feature called Endless Page where you can display products in a single page which are displayed on grids as one scrolls down on the web page. Whether you own a small or big online shop site, this Magento extension is a must-have. This program allows eCommerce website owners to back up their site by the Cloud. This provides additional security against the occurrence of hardware failure or security breach of your online site. You can store files and set up the extension to perform an automatic backup. Your files are safe from an offline storage, giving you more confidence that your files are secured and less vulnerable to hackers. The Cloud backup is stored using the Dropbox and Amazon storage system. This is a Magento extension that is most useful for offline stores and even among eCommerce websites. Because of its convenient feature for synchronizing with the CRM system, many of its users like to use this program as it simplifies the process of website management. The program can also track down carts that were abandoned by customers and gives its users more flexibility in using its settings. It also supports a sync data processor feature using the field mapping tool. This Magento extension allows its users to save significant time of signing different times in order to access their website’s content and eCommerce features. It is integrated with Magento and Wordpress optimized websites where both platforms are used in managing the eCommerce functionality of the site using Magento and using Wordpress for content management functions. With the Single Sign On for Magento extension, you can sign in to your accounts in just a single process. It is necessary however that the Magento and Wordpress should be installed in one and the same domain or at least share the same server to work. Magento is a undoubtedly one of the most popular open source platform to run a successful ecommerce business. It is developed on Zend Framework and has a very extensible architecture. There are hundreds of useful plugin and extension available on Magento Connect, the official marketplace for magento extensions. Stacy Carter is a tech writer and freelance blogger laying out for tech news via online exposures. She is the author of the site: Cell Phone Spywhere you can get valuable information about spy software program on your cell phone. I like your blog information! It is found me so interesting and informative Magento extensions… Thanks very much for sharing this amazing information over here. Hi! Thanks for helpfull information! I saw an interesting solution recently - a private sale script from Plumrocket. A number of magento extensions and magento private sales theme. I think you can find it on their site, maybe you'll find it valuable for yourself. According to me SugarCRM bridge is good from all of these extension, it saves your time and helps you to concentrate on your customer so that can you can increase your sales. Thanks for sharing these amazing Magento extensions. Thank you for the list. 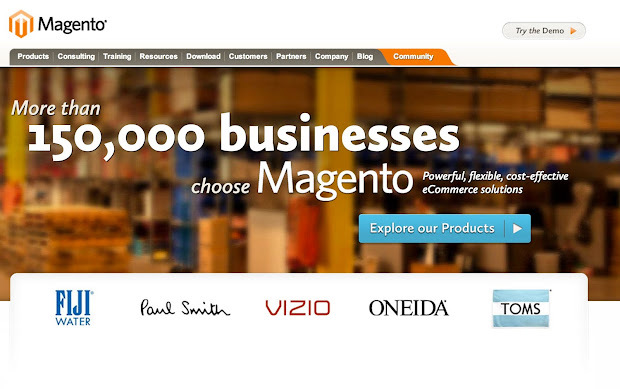 I am in Magento business from last 4 years. Speaking from my experience the one step checkout should be there.